Reiki is a healing art as well as a spiritual practice. When I got introduced to Reiki in the year 2000 I thought I could learn Reiki by reading a book, but soon I realized that just as nobody can learn to ride a bicycle by reading a book and nobody can learn something as practical as Reiki because Reiki is passed from the Reiki Master to the student during a process called attunement during the Reiki course. I was happy to discover that when you learn Reiki you are not only benefiting yourself but your family, friend circle, workplace, all people and all areas of your life. All animate beings and inanimate objects in your environment benefit from Reiki. You become one with the Universe through the Universal life force Energy - Reiki! Reiki is learnt in 3 stages. You begin with the Reiki first degree course. During this course you learn the hands-on method of healing self and others. With this method you can not only gain and maintain good health but also progress further on the spiritual path. Click below to Register for the upcoming Reiki First Degree Course in Mumbai. In Reiki 1st degree course, besides other things you will learn more about the Teachings of Mikao Usui Sensei, the founder of Reiki. His teachings are so simple and so profound: "Just for today, do not worry, do not anger, be humble, work honestly and be compassionate to others." With these teachings and your Reiki practice your energy is balanced and you become ready for the next Reiki attunement. With Reiki second degree course you begin to resonate with the Universal life force energy in a dynamic way. You are no longer limited to time and space and you are able to express your compassion to others by healing plants, animals, humans, etc even at a distance. Click below to Register for the upcoming Reiki Second Degree Course in Mumbai. After Reiki 2nd Degree attunement many people experience the feeling of oneness, peace and an overall sense of well-being. Your sensitivity is enhanced and you are able to be receptive to intuitive guidance from your higher self. I have been conducting Reiki courses in Mumbai for more than a decade and I have seen that after Reiki level 2 many people realize that they are inherently spiritual being. They are not only able to grasp the spiritual teachings but also practice it practically in their day to day life. Click here to Register for the upcoming Reiki Third Degree Course. In the Reiki Third Degree course you learn how to heal various issues at the cause level. This often produces miracles and solutions to multiple problems in one go. Another important topic in Reiki 3rd Degree course is the understanding of the Hara point. This is a energy center located at the center of our body and it is the seat of gravity, power, balance and vitality. With this understanding you get direct access to holistic well being at all levels - physical, mental, emotional & spiritual. With the teachings of Reiki third degree you experience oneness with the people around you, with nature and all living beings in your environment. This completes your learning of Reiki. By the time you complete all the 3 Reiki classes, you become a powerful healer. At this stage many people come to the understanding that we are all connected. Some people feel the urge to give this gift of Reiki to others so that they can also understand and feel the oneness with existence. For them there is the Reiki Master Degree Training. In a Reiki session all you have to do is sit comfortably. The Reiki Practitioner/Master places his/her hand just above your body and Reiki energy flows through the hands of the practitioner and heals you. A one hour session will leave you refreshed and energized. If you have a physical health problem you can take Reiki healing sessions along with your Doctors prescription. It is highly recommended that you learn Reiki (at least first degree) so that you can participate in your own healing and accelerate the speed of recovery. When you learn and practice Reiki or take Reiki healing from a Reiki Practitioner you will occasionally experience unexpected healing taking place. This is because Reiki heals you holistically. You might want to solve only problems that you are aware of but Reiki heals you completely, at all levels. This is the beauty of Reiki. 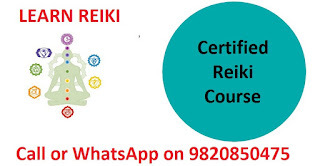 To register for any of the above Reiki Courses in Mumbai Register online or call us on 09820850475. 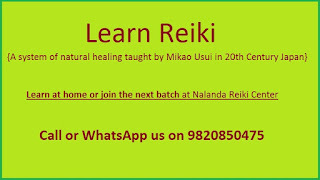 I am please to inform all those who are following this Reiki blog that we regularly conduct Reiki third degree course on the 2nd Sunday of every month at Nalanda Reiki Center, Mumbai. The Reiki attunement for the third degree opens and expands your main energy channels to allow Reiki to heal at spiritual level. The 3rd degree attunement clears any remaining blockages and can create significant energy changes in an individual to further the process of personal transformation. What is your reason for doing Reiki third degree! In the Reiki 3rd degree course you will be attuned to 2 more Reiki symbols. This will give you the ability to heal anyone at the level of the soul. This is the highest level of healing. This course will also help you be even more effective in healing at all other levels, the mind, body and emotions because when healing happens at the highest level, the are multiple positive effects at all levels. Meditation on Reiki third degree symbols allows you to experience the increased flow of energy and the power of these symbols. 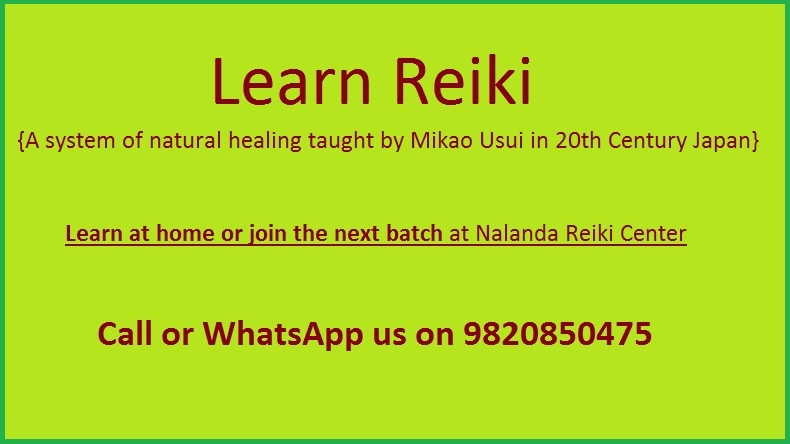 You will also be learning a Reiki technique that the founder of Reiki, Mikao Usui Sensei used to grow spiritually. Experience what it feels like when you perform treatments using this technique, for healing self and others. You will not only learn new symbols and be attuned to them but you will also become familiar with their energies and learn how to use them in your life. You will enjoy chanting and meditating on the mantras in a new way and add a new tool for treating yourself and others while doing healing in person as well as distant healing. To register for this Reiki third degree course in Mumbai please call or WhatsApp on 09820850475. Notice the abundance in the universe and in yourself in various forms. Notice the abundance of trees on land, stars in the sky and water in the ocean. Then, close your eyes for a moment and notice the abundance of thoughts and ideas that cross your mind each day. Thank the Reiki Energy for the abundant thoughts and ideas that enrich your life in ways that are meaningful to you. Imagine that these thoughts and ideas are bringing you benefits and gifts you desire. If there is something specific that you want in your life right now, thank the Reiki Energy for bringing that in your life in some surprising way and you can draw the distance Reiki symbol (if you have completed Reiki second degree) with the same intention and notice the thoughts, images and ideas that arise after that. Just be in this space of abundance. Let the feeling gratitude fill your heart and just enjoy this moment. Draw the power symbol on the palms of your hand (if you have done Reiki 2nd degree or above. Be thankful for this wonderful experience. Do this for a few days. Notice and acknowledge the changes happening in your life. If this exercise help you attract abundance through Reiki then please come back to this blog to share your experience. If you have a question about Reiki, write to me on sachinodpd@gmail.com. Or contact me on Skype. My id is makefortune28. Whenever you travel to Mumbai, you are welcome to visit my Reiki Healing Center in Mumbai. About the Author: Sachin is a Reiki Grand Master. He loves to teach Reiki. 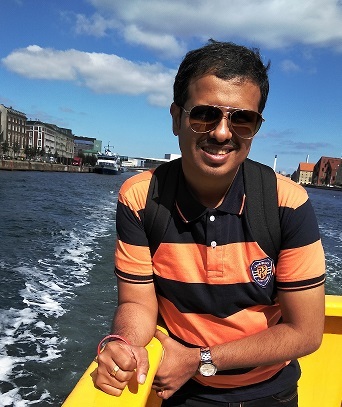 Mumbai is the city where he started his mission is to spread Reiki through Nalanda Reiki Center, Reiki blog and through his Reiki Masters in Mumbai and other cities. You can contact Sachin on +91 9004580740. Some days back I share my thoughts on the ideal time between Reiki Attunements and today I am going to share something about the Reiki Attunement ceremony. The Reiki Attunement Ceremony is the heart of all the Reiki courses. It is during this attunement ceremony that the abilities of the respective Reiki levels is passed on to the student by the Reiki Master. Before the attunement ceremony begins the Reiki Master will tell you what to expect during the session. Reiki Masters prepare themselves for attunement by practicing Reiki and meditation along with other processes to prepare the room for this event. Usually there is soft music playing in the background while you sit comfortably with closed eyes. The Reiki Master will begin by a small prayer, asking for guidance and blessings from Usui Sensei and other spiritual guides. Your hands will be in prayer position as ask your Reiki Master for the particular Reiki degree. Sit with your back straight and your hands resting in your lap and your feet flat on the floor. Notice your breathing, thoughts, sensations, feelings, vibrations, etc. Let your mind wander on these things freely. After some time you will sense your Reiki Master's hand on your crown chakra, your head, neck shoulders and back. You Reiki Master will walk around you activating your 7 chakras on your spine and the 2 chakras in your hands. Different people experience different things in different parts of the body. Some feel heavy, some feel light, some feel a breeze of heat or cold. Some people experience a headache, some see a white light, while others see images of Gods and Goddesses. Some experience ticking or vibration in different parts of the body including the third eye chakra. Once the attunement process is complete your Reiki Master will indicate to you my taping your right shoulder or by ringing a bell. Thank the Reiki energy and your Reiki Master for passing on the abilities associated with the Reiki level that you have been attuned to. Also Read: What is Reiki Attunement? After the Reiki attunement ceremony you can share your experience with your Reiki Master and other students. Each and every person has a different experience. Do not compare your experience with others. If you feel warm and the other student felt cold, it does not mean you have not been attuned. Some people feel nothing or they may not be able to articulate effectively or they are not so sensitive to their inner processes or they might be busy expecting some unusual sensation and miss out on their actual experience. Irrespective of the experience, the ability is activated in all the students who go through the attunement process and it is for a life time. When you sit for practicing Reiki you can bring to mind your intention or goal for that session and then you can start your practice. Have you been attuned to any of the levels of Reiki? What was your experience during the attunement ceremony? Would you like to share it with us? About the Author: Sachin is a Reiki Grand Master. He loves to teach Reiki. 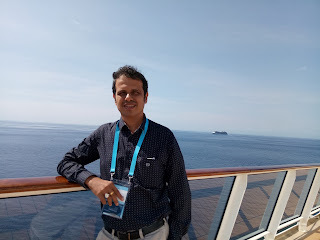 Mumbai is the city where he started his mission is to spread Reiki through Nalanda Reiki Center, Reiki blog and through his Reiki Masters in Mumbai and other cities. He is committed to spreading Reiki all over the world to create health, wealth and happiness for everyone. To conducts Reiki training online and in person, at the Reiki Center or individual session in Andheri, Bandra, Dadar, Colaba, etc. You can contact Sachin on +91 9820850475. Hope you enjoyed reading my last post on 'How to increase your intuition with Reiki?' Today I am going to share with you the purpose of the gap between Reiki attunements. If you don't know what is Reiki Attunement, the read this article first: What is Reiki Attunement? When you learn something new its important to allow some time so that you get comfortable doing the new activity. During these 21 days your body goes through a cleansing process, during which toxins are released and your chakras get cleaned, balanced and energized. During this period you accommodate the new spiritual practice in your daily life so that you can continue to practice Reiki and get more and more benefit from it with the passage of time. With this 21 days you form a new habit. This is the reason why it is important. This is the spiritual discipline. This is the beginning of your journey. When you understand the purpose behind something, things become clear. We are not rigid with the number 21. The underlying intention is to help you form a new habit so if that gets accomplished in 15 days, that would not be a problem. Recently one of my student wanted to proceed to second degree of Reiki after practicing regularly for 2 weeks. He was practicing 2 times daily, morning and evening. I did not stop him because I knew he is clear about the principle behind the 21 day rule. Some students try to 'be perfect' in their practice of Reiki first degree. Nobody can be perfect. After a reasonable amount of practice one should move on to higher levels of Reiki because you are introduced to more tools and techniques in second and third degree of Reiki. Its important to learn new skills, practice those skills and more ahead to learn new skills. This is as true in Reiki as in life, isn't it? As you can see in the picture, I recommend a gap of 21 days between Reiki level 1, 2 & 3 for practicing Reiki on self and others. This I feel is the ideal time between Reiki Attunements. Some Reiki Masters recommend a longer period of practice between attunements. I think 21 days is more than enough but if someone recommends more than that, it will be for a good reason that the teacher knows better. In any case, there is no harm in practicing Reiki for more number of days. 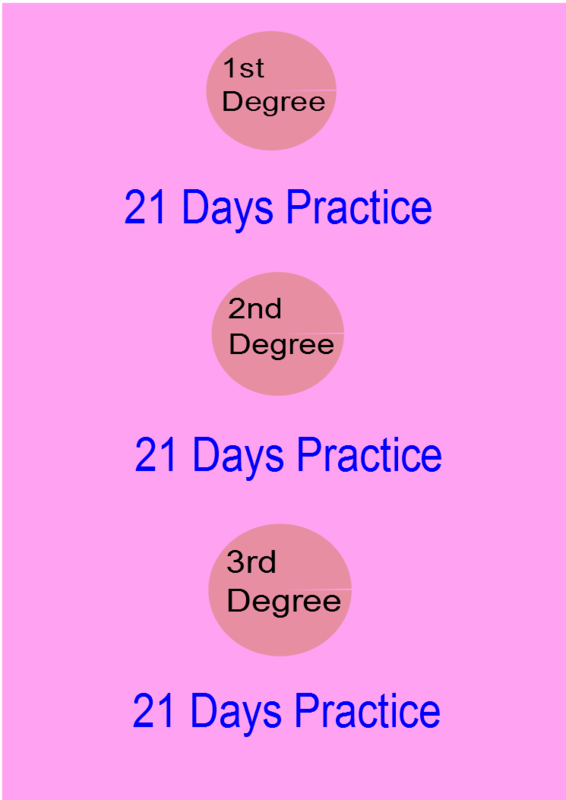 So if your Reiki Master wants you to practice more than 21 days before you move to the next level you should follow his/her instructions. There is no harm. A person learns Reiki by the grace of Reiki Energy. Each of us is guided by Reiki Energy intuitively when we are ready for the next level. So I follow the general rule unless I find someone with special needs. I am sensitive to the needs of the students because I feel each individual is different. As Reiki Teachers we must respect the needs of each and every individual. I don't recommend taking short cuts. I don't recommend attempting to be perfect. I recommend 21 days of practice as a general rule and more than that I recommend making Reiki practice a part of your life for the rest of your life. If you have a question about Reiki, write to me on sachinodpd@gmail.com or WhatsApp me on 9820850475. About the Author: Sachin is a Reiki Grand Master. He loves to teach Reiki. Mumbai is the city where he started his mission is to spread Reiki through Nalanda Reiki Center, Reiki blog and through his Reiki Masters in Mumbai and other cities. He is committed to spreading Reiki all over the world to create health, wealth and happiness for everyone. 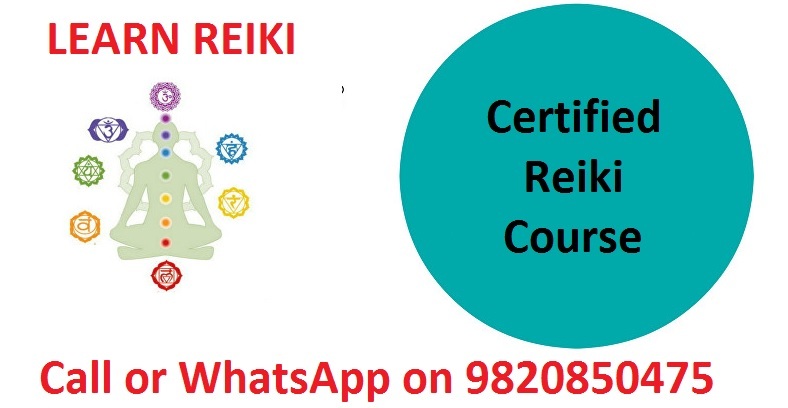 To conducts Reiki training online and in person, at the Reiki Center or individual session in Andheri, Bandra, Dadar, Colaba, etc. You can contact Sachin on +91 9004580740. Intuition is the ability to receive information directly from the Universe. How to increase your intuition with Reiki? The answer is very simple. By being better connected to the universe you will be able to get more intuitive messages. When you are connecting with Reiki, when Reiki is flowing through you, you are connected to the Universe because Reiki is the Universal Life Force Energy. When you are connected to the universe you have access to all that is happening in the universe. You can get any information about anything within the universe. When you practice Reiki regularly, your connection with the Universe is strengthened. The Universe send relevant information to you as an when it is available. It works just like Google Alerts. The Universe knows your intentions, goals and desires. What ever is important for you to know the Universe will tell you. With daily meditation and Reiki practice you will be able to receive this intuitive messages and understand them clearly. Usually the first thought that suddenly comes to mind is intuitive. It has a different feel as compared to the logical thoughts that come to mind subsequently. Practice Reiki regularly, morning and evening. This is the most important step because the more you are connected with Reiki the more intuitive you will become. Make a note of intuitive thoughts, ideas, images, feelings, etc and reflect upon how it feels like to have them as opposed to logical thoughts. This will make you more familiar with intuitive messages and you will be able to identify them more and more easily when they come next. Take a dip into Reiki frequently during the day. Communicate you intentions to Reiki and receive guidance on every aspect of life that is important to you now. You intuition keeps pointing at the same thing in different ways. When you keep a note of your thoughts, after some time when you gather all the messages, a collective picture arises. This is the answer to your question. Thank the Reiki Energy for all the intuitive messages that come from time to time. Say the following affirmations. I am very intuitive. I know how it feels like to be intuitive. When a message comes, I have no doubts about it. I know it for what it is. All this comes with practice. Do the simple things mentioned above with consistency and you will me much more intuitive than before, in less than a month. If you have not started your journey in Reiki, take the first step today. If you have completed your first degree then let me tell you that you must complete Reiki second degree soon because after 2nd degree your Reiki practice becomes more dynamic. If you have done Reiki level 1 & 2, my advise is to use Reiki for a variety of purposes, multiple times in a day. This will help you greatly in becoming more intuitive. About the Author: Sachin is a Reiki Grand Master. He loves to teach Reiki. Mumbai is the city where he started his mission is to spread Reiki through his Reiki classes, Reiki blog and through his students who have taken Reiki Master degree. He is committed to spreading Reiki all over the world to create health, wealth and happiness for everyone. 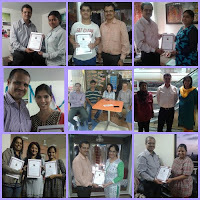 To conducts Reiki training online or in person, individual session in Andheri, Bandra, Dadar, Colaba, etc. You can contact Sachin on +91 9004580740.